Programming notes: A moving picture house.They charged 5 cents ($1.25 in 2018) for ‘good’ programming while Dreamland (right next door) charged 10 cents ($2.49 in 2018) for ‘full’ programs that were more popular and better quality. Promotional strategies notes: They promoted the fact that they had a unique aesthetic with local art used as decor. As well as the fact that the audience could pay half the price to view a program that was still enjoyable and entertaining. 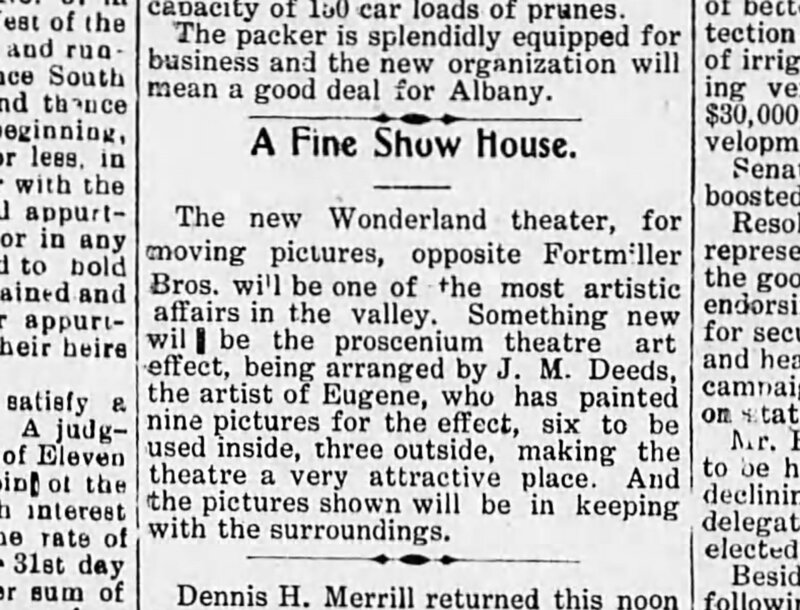 Albany Democrat. Friday, September 4, 1908. This article expresses that the opening night of Wonderland was succesful and many people attended. 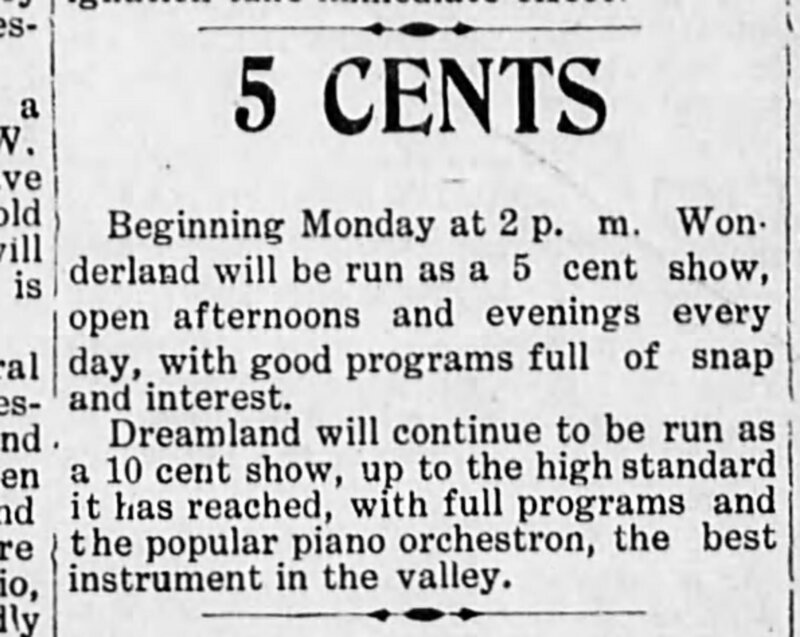 This article states that the opening of the new Wonderland Theatre meant that citizens had a choice between a ‘good’ program that was only 5 cents or a ‘full’ program that would cost them double the price. These theaters were located right next door to one another. Albany Democrat. Friday, November 20, 1908. 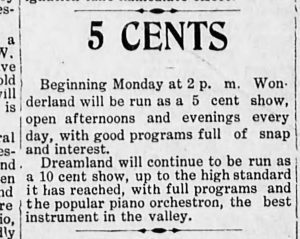 This article is example of a program that was going to be shown at the Dreamland Theatre. 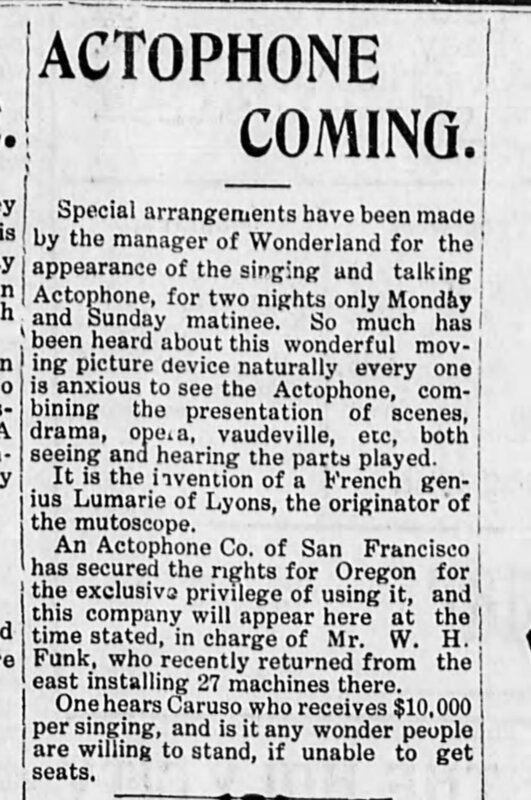 The event of a talking and singing Actophone would only be available for two nights. Albany Democrat. Friday, August 28, 1908. 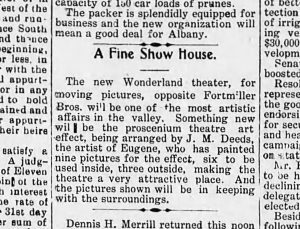 This article expresses the creative element that would be available when visiting the Wonderland Theatre. A local artist had created many paintings to add special effects and created a unique atmosphere at Wonderland. Albany Democrat. Friday, November 27, 1908. A small clip stating that Wonderland was going to be dismantled. 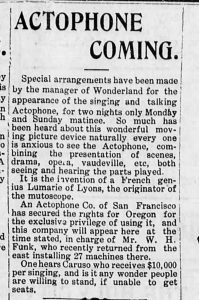 The theater stopped showing up in the newspapers shortly after this. 2000 Dollars Today | Inflation Calculator, www.officialdata.org/.